In my practice in the Child Brain Injury team at Bolt Burdon Kemp, I receive many enquiries from parents who fear their child has suffered an injury due to negligent medical treatment during labour and/or the birth of their child. Often they are unclear about what exactly happened and why, but have a sense that something went wrong and this caused an injury to their child. I recently spoke to a mother whose young son has a great many difficulties including global developmental delay, sensory difficulties, speech and language delay, challenging behaviour and social communication difficulties. He had been born by emergency c-section following a difficult labour. It was not until a check-up visit by a midwife some time after the birth that the mother was told that the emergency c-section had been necessary because her baby had suffered a period of bradycardia (slow heart rate) and that he had been delivered blue and floppy with the umbilical cord around his neck. She, understandably, was unaware of what was going on at the time, as she was under anaesthetic, but looking back she began to question whether the c-section should have been carried out earlier and, if so, whether her little boy would have avoided all the difficulties he was now facing. I asked the mother if she had made a complaint to the hospital but she had not. This is not at all surprising. 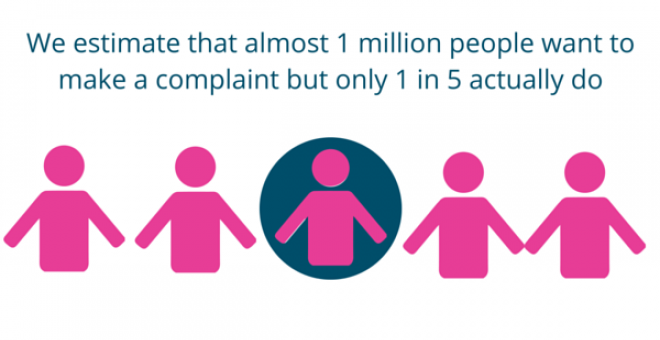 Indeed, Healthwatch England estimates that almost 1 million people want to make a complaint but only 1 in 5 actually do. However from my point of view, not making a complaint is a missed opportunity. A hospital’s formal response following a formal investigation into a complaint is always revealing and can save time in terms of investigating whether there is a strong enough case to bring a compensation claim. It can help me to understand the history of events and perhaps pinpoint the areas for me to ask an expert to concentrate on when investigating the case. You may have very little confidence that your complaint will be properly investigated. Even so, if you are concerned about the medical treatment you received when giving birth and any injuries that your baby suffered as a result we do recommend that you make a complaint. Do not wait for the result of the complaint before trying to find legal advice. This is because any evidence uncovered during the investigation has to be disclosed to you and this can be vital in helping you and your advisors decide whether you have a worthwhile claim, as the evidence may well support the claim and increase the likelihood of your claim being successful. The investigation evidence will carry greater weight than evidence obtained months or even years later when the memories of witnesses such as hospital staff are less reliable or the hospital staff may have moved on and be untraceable. If your complaint relates to treatment given during pregnancy, labour or delivery and you believe your child was seriously injured as a result, Legal Aid may available to help pay for legal advice and representation. If the claim is to be funded through Legal Aid, the solicitor will need to be a member of the Law Society’s Clinical Negligence Accreditation Scheme or the AvMA panel and have a contract with the Legal Aid Agency to carry out clinical negligence work. I have this accreditation and can help guide you through the process. If you need to fund your claim through Legal Aid, there is a risk that your application for Legal Aid could be turned down if you have not followed the complaints procedure first, unless you have a good reason not to do so. In these cases, it is really important to make sure you have made a complaint if you can, to make sure that all funding options are open to you if you have a potential claim. Don’t be afraid that making a complaint to the NHS could jeopardise your claim or prevent you from bringing a claim. Trust your instincts, if you think something has gone wrong get the answers that you need. We are here to help guide you through the process of making a complaint (PDF, 61kb). I am a Partner at Bolt Burdon Kemp specialising in Child Brain Injury claims. I am a member of the Law Society’s Clinical Negligence Accreditation Scheme as well as the Personal Injury Accreditation Scheme. If your child has suffered a brain injury as a result of someone else’s negligence or you are concerned about the medical treatment your child has received, contact me free of charge and in confidence on 020 7288 4825 or at jochapman@boltburdonkemp.co.uk for specialist legal advice. Alternatively, you can complete this form and one of the solicitors in the Child Brain Injury team will contact you. You can find out more about the Child Brain injury team.